If one cannot enjoy reading a book over and over again, there is no use in reading it at all. – Oscar Wilde. I’d quibble with Oscar on this. While the best books can be read, re-read and re-read again, sometimes there a book can provide sufficient entertainment and escapism to enjoy once then be passed on to someone else without caring whether it comes back. Today I’ve been reading one of those and I’m grateful for both the entertainment and escapism it’s providing. Hiulcity – an opening or cleft . A duck ducked into a bar at lunchtime and ordered a beer. 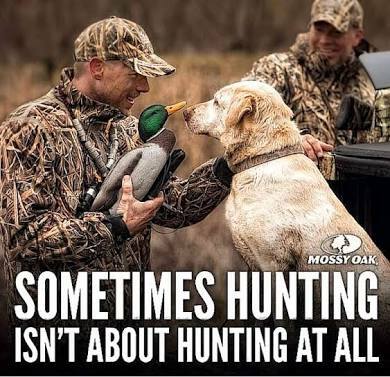 Sometimes hunting isn’t about hunting at all. 553 The Second Council of Constantinople began. 1215 Rebel barons renounced their allegiance to King John of England. 1260 Kublai Khan became ruler of the Mongol Empire. 1494 Christopher Columbus landed on the island of Jamaica and claimed it for Spain. 1640 King Charles I of England dissolved the Short Parliament. 1762 Russia and Prussia signed the Treaty of St. Petersburg. 1789 In France, the Estates-General convened for the first time since 1614. 1809 – The Swiss canton of Aargau denied citizenship to Jews. 1818 Karl Marx, German political philosopher was born (d. 1883). 1821 Emperor Napoleon I died in exile on the island of Saint Helena. 1830 John Batterson Stetson, American hat manufacturer was born (d. 1906). 1833 James Busby became New Zealand’s official British resident. 1835 The first railway in continental Europe opened between Brusselsand Mechelen. 1862 Cinco de Mayo in Mexico: troops led by Ignacio Zaragoza halted a French invasion in the Battle of Puebla. 1864 American Civil War: The Battle of the Wilderness began in Spotsylvania County, Virginia. 1864 – Nellie Bly, American journalist and writer was born (d. 1922). 1865 In North Bend, Ohio, the first train robbery in the United States took place. 1877 Indian Wars: Sitting Bull led his band of Lakota into Canada to avoid harassment by the United States Army under Colonel Nelson Miles. 1886 The Bay View Tragedy: A militia fired into a crowd of protesters in Milwaukee, Wisconsin, killing seven. 1891 The Music Hall in New York City (later known as Carnegie Hall) had its grand opening and first public performance, with Tchaikovsky as the guest conductor. 1898 – The Dog-Tax war in the Hokianga was narrowly averted. 1904 Cy Young of the Boston Americans threw the first perfect game in the modern era of baseball. 1914 – Tyrone Power, American actor was born (d. 1958). 1916 U.S. marines invaded the Dominican Republic. 1919 – Georgios Papadopoulos, Greek dictator was born (d. 1999). 1921 Coco Chanel introduced Chanel No. 5. 1925 Scopes Trial: serving of an arrest warrant on John T. Scopes for teaching evolution in violation of the Butler Act. 1925 The government of South Africa declared Afrikaans an official language. 1936 Italian troops occupied Addis Ababa. 1941 Emperor Haile Selassie returned to Addis Ababa; the country commemorates the date as Liberation Day or Patriots’ Victory Day. 1942 Tammy Wynette, American musician was born (d. 1998). 1943 Michael Palin, British writer, actor, and comedian, was born. 1944 John Rhys-Davies, English-born Welsh actor was born. 1945 World War II: Canadian and UK troops liberated the Netherlands and Denmark from Nazi occupation. 1945 – World War II: Prague uprising against German occupying forces in Czechoslovakia. 1945 – World War II: Admiral Karl Dönitz, President of Germany after Hitler’s death, ordered all German U-boats to cease offensive operations and return to their bases. 1948 Bill Ward, British drummer (Black Sabbath) was born. 1949 The Treaty of London established the Council of Europe in Strasbourg as the first European institution working for European integration. 1950 Bhumibol Adulyadej crowned himself King Rama IX of Thailand. 1950 Mary Hopkin, Welsh singer, was born. 1955 West Germany gained full sovereignty. 1961 The Mercury programme: Mercury-Redstone 3 – Alan Shepardbecame the first American to travel into outer space making a sub-orbital flight of 15 minutes. 1964 The Council of Europe declared May 5 as Europe Day. 1980 Operation Nimrod: The British Special Air Service stormed the Iranian embassy in London after a six-day siege. 1981 Bobby Sands died in the Long Kesh prison hospital after 66 days of hunger-striking, aged 27. 1991 Mt Pleasant riots broke out in the Mt. Pleasant section of Washington, D.C. after police shoot a Salvadoran man. 1994 The signing of the Bishkek Protocol between Armenia and Azerbaijan effectively froze the Nagorno-Karabakh conflict. 2005 Tony Blair’s Labour Party was elected for a third consecutive term. 2006 The government of Sudan signed an accord with the Sudan Liberation Army. 2007 Kenya Airways Flight KQ 507 crashed in Cameroon. 2010 – Mass protests in Greece erupted in response to austerity measures imposed by the government as a result of the Greek debt crisis. 2014 – 11 people went missing after a Chinese cargo ship collided with a Marshall Islands registered container ship off the coast of Hong Kong. 2014 – 22 people died after two boats carrying illegal immigrants collided in the Aegean Sea off the coast of Greece. You are currently browsing the Homepaddock blog archives for the day Saturday, May 5th, 2018.